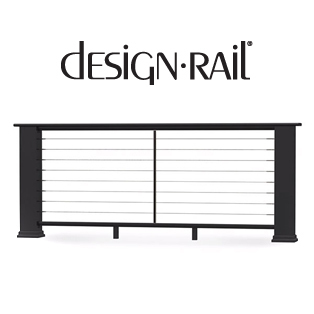 DesignRail® are powder coated aluminum railing frame systems with cable, glass and picket infill options. These systems are easy-to-install, attractive and cost effective. Want to customize even further? Check out all the custom DesignRail® aluminum railings Feeney has to offer. You can then use our online order form to create your own personalized custom quote.